Tens of thousands of this famous American tank were built during WWII. In addition to its use by US forces, the M4 Sherman also served with many Allied countries. 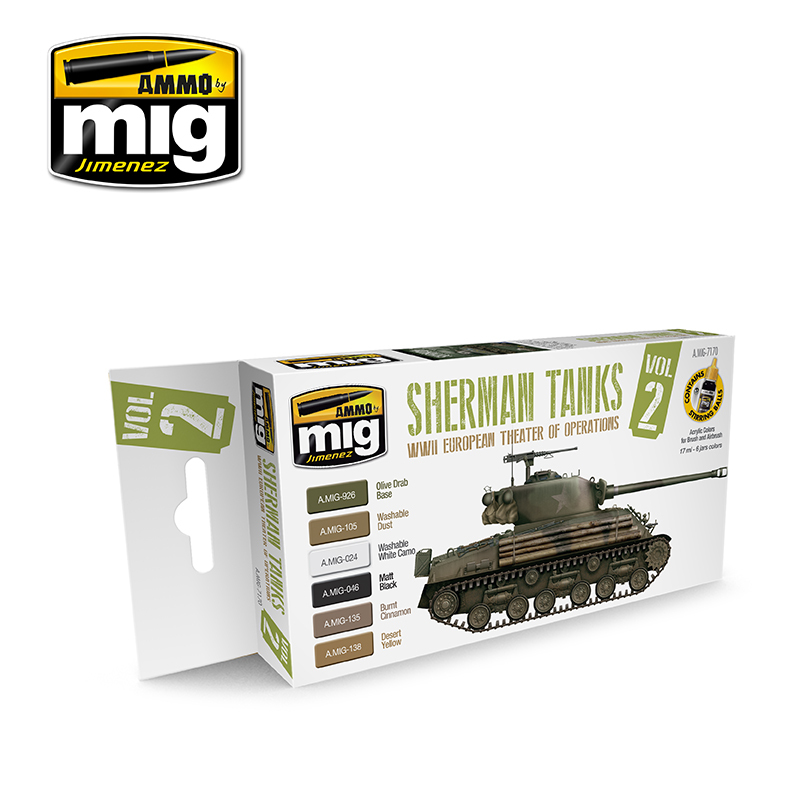 This set includes the colors used to paint the Sherman tanks deployed by the US Army in the European Theater of Operations. In addition to the well-known Olive Drab, we can find two washable colors to represent makeshift mud camouflages and whitewash winter patterns. This set also includes black and a sand tone used as camouflage over the Olive drab factory finish by some units in certain areas of operation.